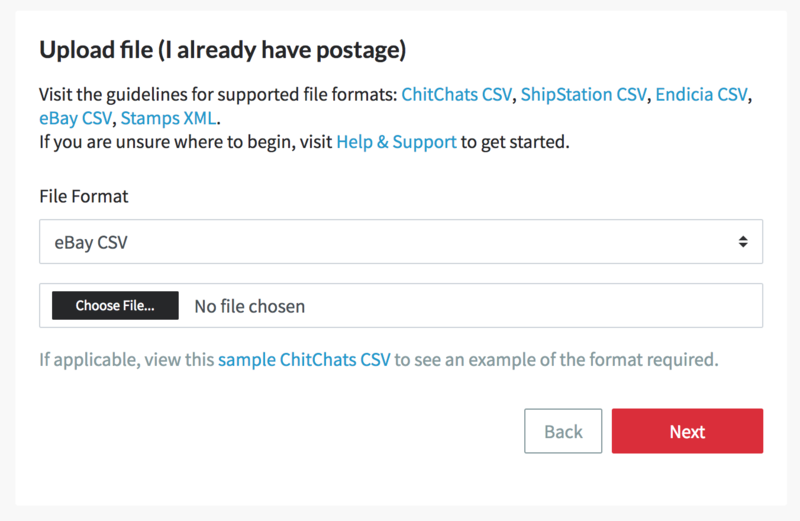 How to import from an eBay CSV file? Before you begin: Please note that the eBay CSV does not provide all the information that we need. During the import process, you will need to add the Weight, Package Type, and Postage Type for each shipment. Step 1. Log in to your Chit Chats account. Step 5. 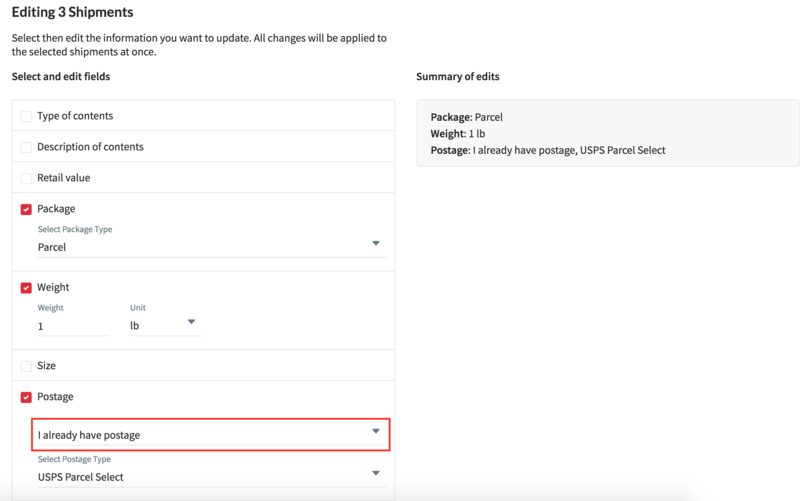 Edit the shipments to include Weight, Package Type, and Postage Type. Make sure to select I already have postage when editing Postage. Step 6. When you are satisfied, click the Import button to start the import process. Once completed, all shipments will be automatically added to a batch. Related: How can I Integrate my eBay Store?